A three star duel threat QB out of North Carolina has been Roll Waved by Coach Fritz. JerseyWave wrote: A three star duel threat QB out of North Carolina has been Roll Waved by Coach Fritz. Looks like a good pickup! Left handed QB going by that picture. Was he recruited by "The U" or Miami University (Ohio)? tpstulane wrote: Left handed QB going by that picture. Yep - he's left handed. Interestingly enough, if he does not work out at QB, he has experience at safety. It's almost certain that his left handedness played a role in him being over looked by some bigger programs, but he should be solid for Tulane. Thanks. I agree. A lefty running our offense may get confusing for all involved. Seems I can remember a left-handed QB at Tulane a half century ago who did a pretty good job running Tulane’s offense. 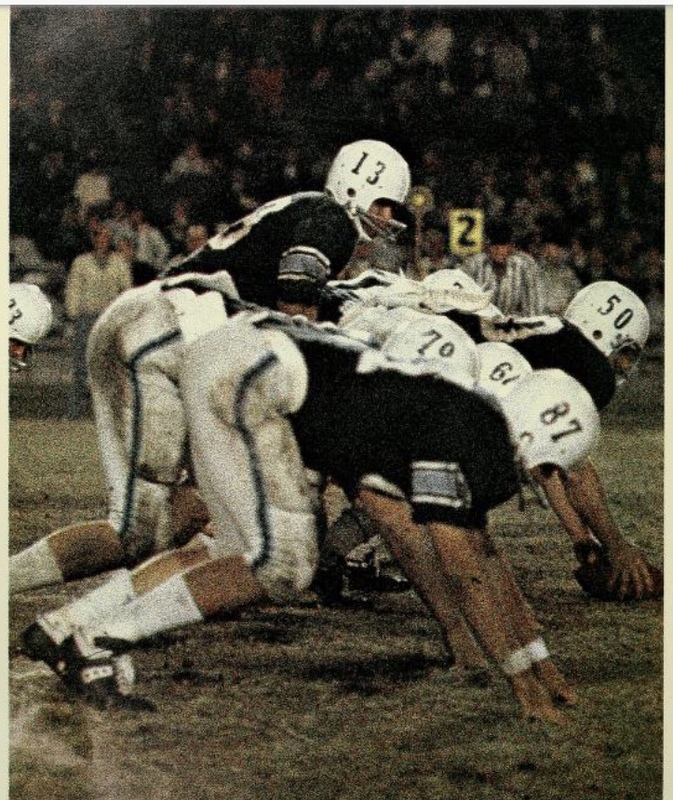 billow wrote: Seems I can remember a left-handed QB at Tulane a half century ago who did a pretty good job running Tulane’s offense. That's my very earliest memories of listening to the radio and following Tulane. Bobby Duhon, Warren Bankston and Virgil Vaughn (not sure why this one) are the three names that have always stuck with me since I was a little kid. DfromCT wrote: Was he recruited by "The U" or Miami University (Ohio)? why is a left handed QB more confusing.... ? On passing the ball has an opposite spin and rotation. Rushing he’d probably favor a left pitch. I would think the offense would shift to favor a lefty pitching and passing. Meaning instead of mostly running the option right they’d probably want to run more left side etc. what a bunch of BS, sounds like my old High school Coach Bob Whitman !! !...any QB with any type of "Option Coaching" learns to pitch the ball with either hand !! !...I don't buy the passing spin bull krap either....you have all summer, spring and fall practice to catch the damn ball !!! When I applied to TU in the Eighties I had an alum interview with Bobby Duhon. Who knew I'd earn my degree before him! Of course it makes a difference. It's not that big a deal if the QB is your starter from camp through the season but if you are changing back and forth, it matters. Roll out passing options are certainly going to be geared more toward the throwing arm side. It also matters with regard to which side is the QB blind side. Maybe your old high school coach is smarter than you think. You run behind your best lineman regardless of which hand he is. Pepper wrote: You run behind your best lineman regardless of which hand he is. LMAO! Especially since I am a southpaw. Mais oui, Duhon was the greatest cher! My Grandmother would mail me the Times-Picayune clippings of Greenie games during the era of Duhon when I lived in Shreveport. I think a couple of years Bobby had more rushing yards than Bankston also. I was a ball boy for the Saints off and on as a kid. I did a season when Bobby Douglass was playing (lefty) QB. FYI Douglass could throw a football over 90 yards. All of the receivers had to get used to the way the ball came off of his hand. The ball would tail off opposite of what Archie threw. His handoffs were given left handed and so that needed adjusting for the RB’s. Just saying. I guess if you stay with a lefty all the time it can work out like Duhon. But if not it can be confusing to WR’s and RB’s. tpstulane wrote: I was a ball boy for the Saints off and on as a kid. I did a season when Bobby Douglass was playing (lefty) QB. All of the receivers hated the way the ball came off of his hand. The ball would tail off opposite of what Archie threw. His handoffs were given left handed and so that needed adjusting for the RB’s. Just saying. I guess if you stay with a lefty all the time it can work out like Duhon. But if not it can be confusing to WR’s and RB’s. This is exactly what I was trying to point out. Part of the decline of left handed QB’s, Christensen is convinced, can be traced to wide receivers, the particular playmakers who like passes to settle into their hands with few complications. Yet lefty quarterbacks deliver a ball that spins differently than most receivers are accustomed to seeing. Suddenly, rapport becomes harder to build. "I truly believe the receivers drove the train in this whole deal," Christensen theorizes. "At the top, big-money receivers got more of a voice. And it filtered down to college, then down to high school and down below that."